Whether you believe in horoscopes, astrology and numerology or not, it’s a fact that this is the year of sheep according to the Chinese calendar, therefore expect to see lots of sheep inspired motifs in the fashion and beauty industry. How can one resist the cuteness of these little creatures, especially when they come stamped on your fingertips making your mani exceptionally pretty and statement-making? Sheep inspired nail art designs can be embraced in multiple ways, both on all your fingertips and on a single nail, coming in bright and bold shades, as well as in much subdued and neutral colors, so everyone is sure to have that desire to give any of these pretty looks a try at least once in a life. 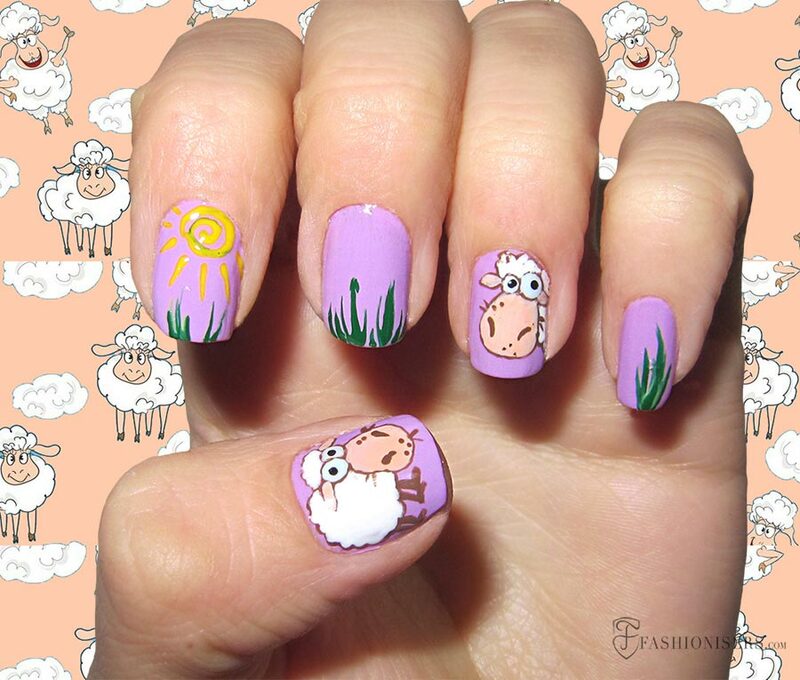 Especially ideal for the spring and summer seasons, these 9 sheep inspired manicure designs can serve as the perfect inspiration source for you to add excitement to your day-to-day and party looks. 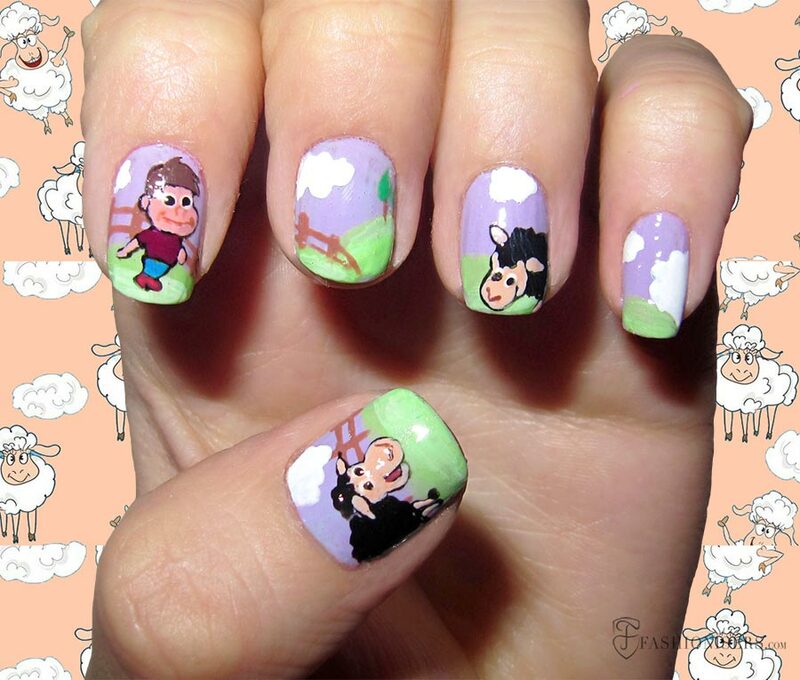 Many of you might have already tried our horse nail art designs that were trending last year and if you want to try something new and fashion-forward, the sheep mani is the best thing you can opt for. 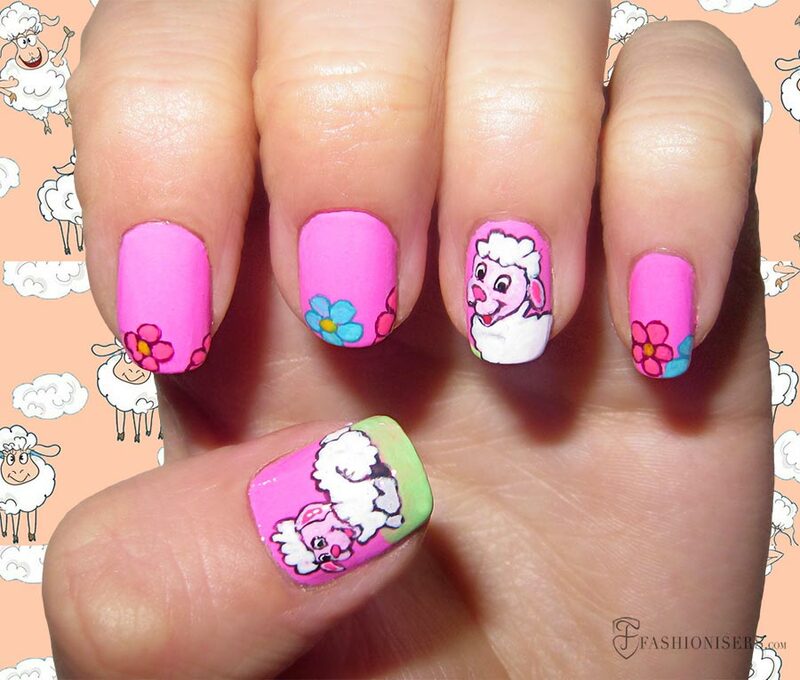 Even if you aren’t superstitious, you still can play with sheep inspired motifs making your nail art look fun and cool. 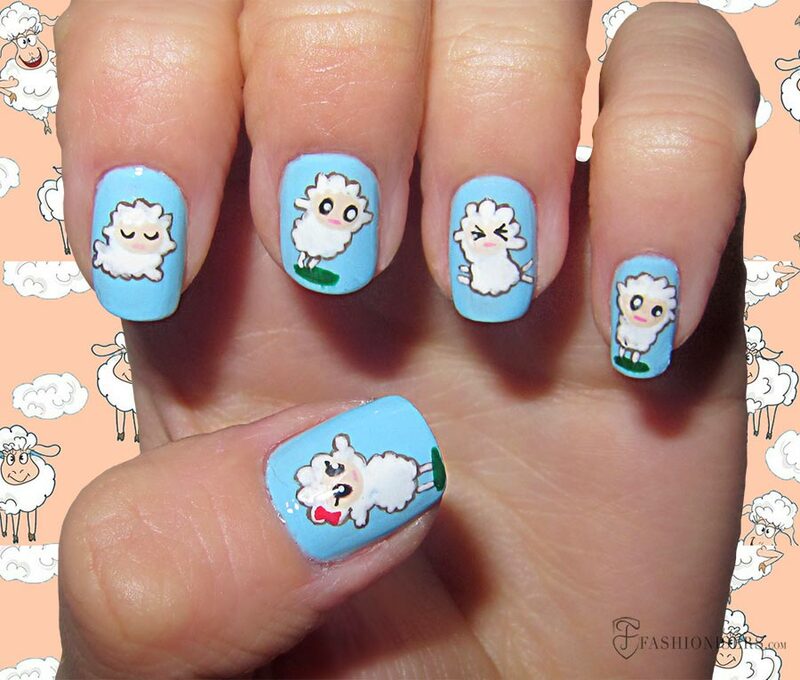 Although most of these sheep nail art designs look quite elaborate, they ask just little practice and precision, but also good knowledge for when it comes to mixing and matching the correct nail polish colors. The latter is actually the main trick to successful looks, even if the sheep your have drawn are not as perfect as they would be when done by an artist. 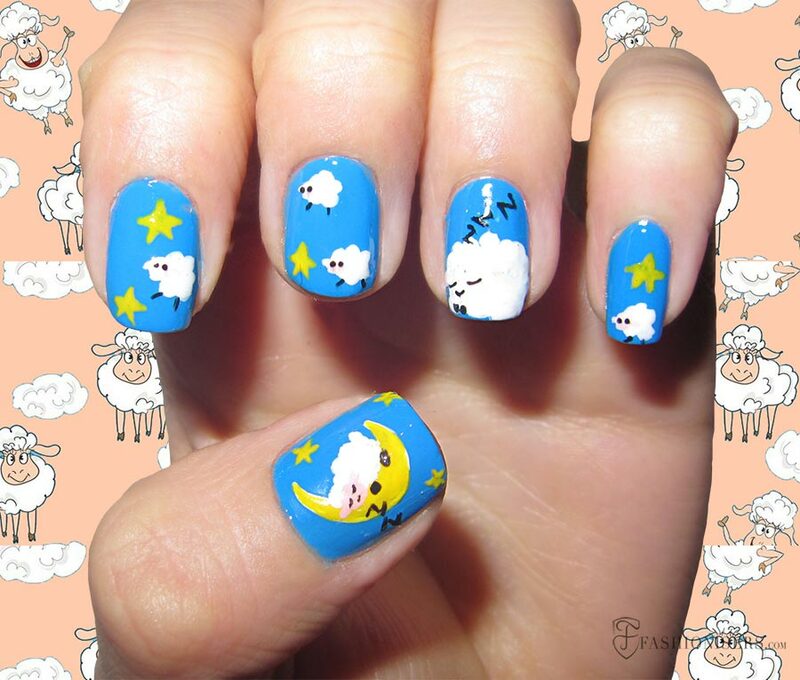 The blue mani featuring cloud-resembling sheep among the stars and the moon is perhaps the easiest look you can easily emulate. Perfect to brighten up your beach looks, some of these designs come in eclectic shades, such as bright fuchsia featuring the little white sheep on two of the nails complemented with tiny floral patterns that make the overall design much more summer ready and girly. 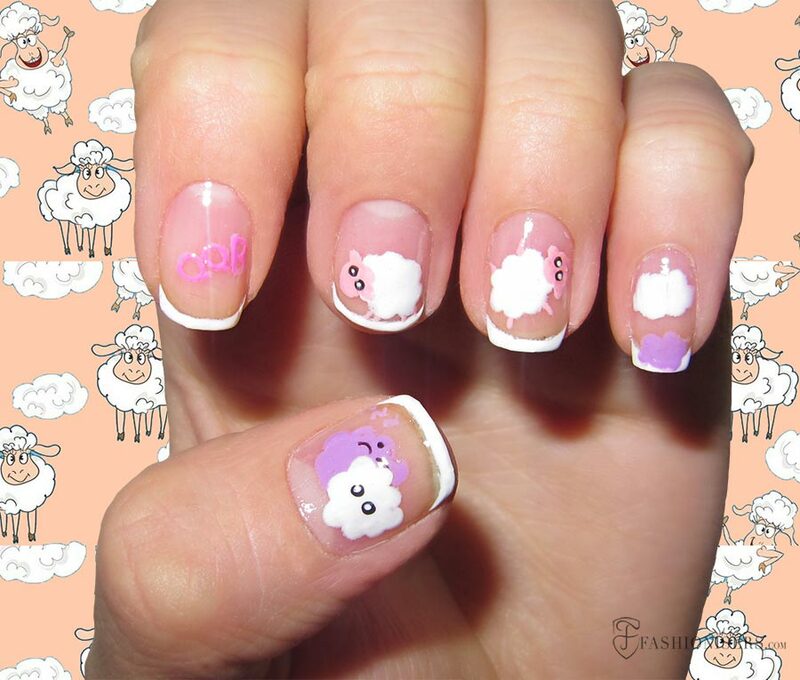 We have surely taken the latest nail art trends into account as well, bringing our own vision of the negative space nail art style pairing simple French manicure with abstract cloud-like sheep in white, lilac and pink tones. This is a minimalist and functional design that can go well with many a summer outfit you decide to wear. The white and black sheep appearing on the background of a mint color can also be quite a versatile look perfect for brightening up your monochrome looks with a subtle touch of color. 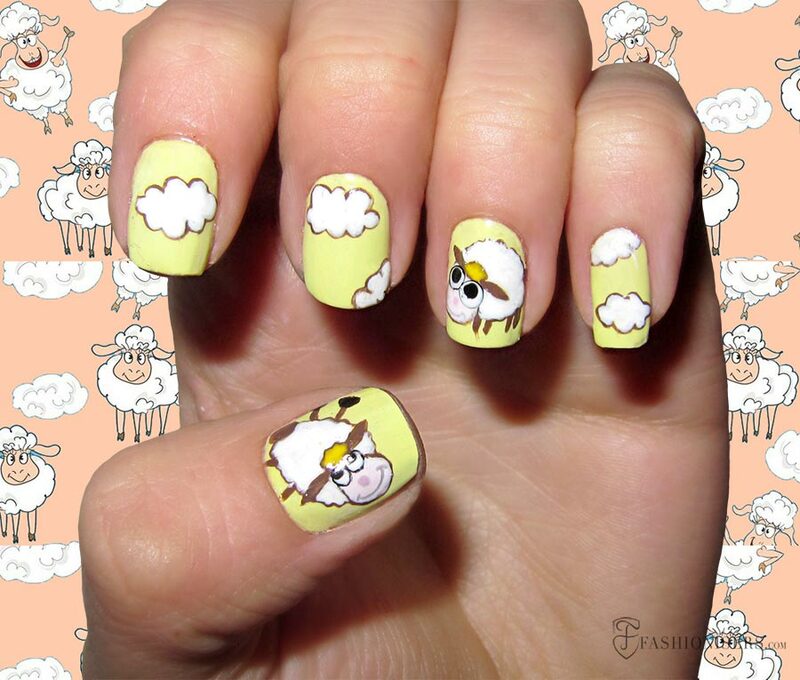 The pastel yellow version of the lovely sheep nail design can be a great complementing detail for your casual looks featuring denim or the season’s trending suede. Surely, there are lots of ready-made nail stickers available perfect for the beginners who want to take their nail art designs to a whole new level, but let’s agree that when you do it all on your own, the result it always more creative despite the small imperfections. So trust your inner artist and practice a little to come up with the most sizzling designs that can actually become perfect complementing details for your stylish outfits. 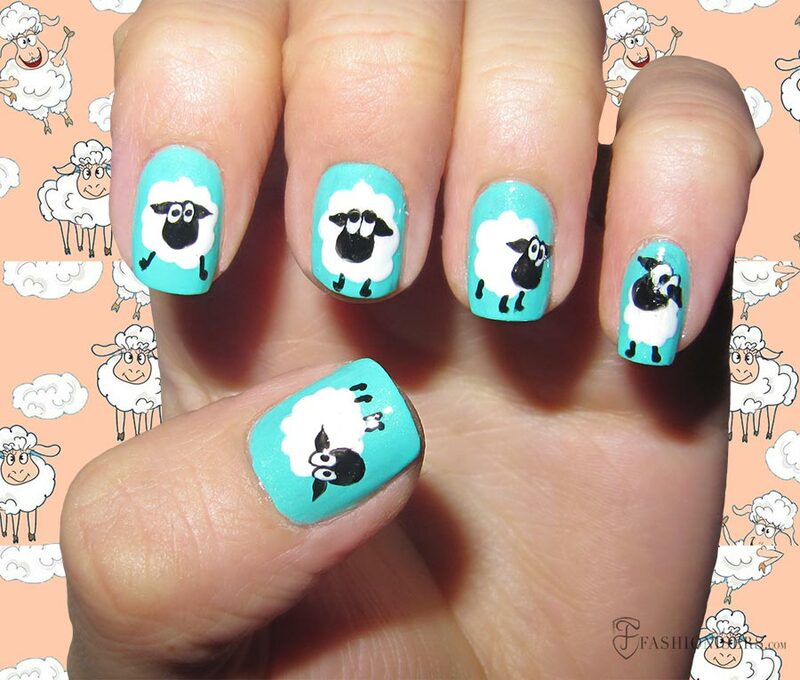 To make your sheep nail designs last longer, don’t forget to apply a top coat, which will secure the fresh and picture-perfect look of your intricate nail art. 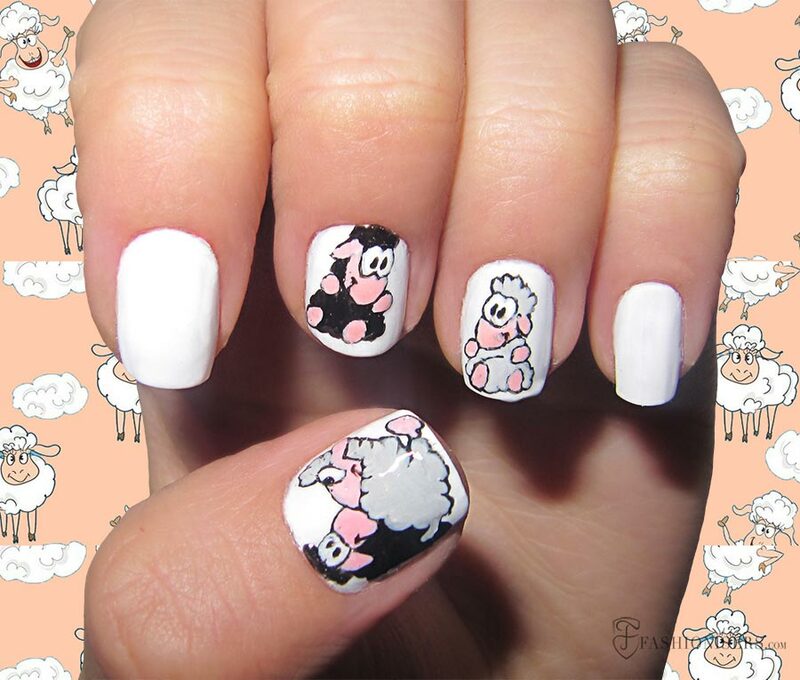 While you can easily recreate any of these 9 sheep nail art designs, you can also try to be more creative, mixing and matching various motifs and coming up with your own unique version of the sheep manicure.